A new diet developed by researchers has suggested that it could significantly lower the risk of Alzheimer’s disease. The diet termed MIND is derived from the Mediterranean DASH Intervention for Neuro-degenerative Delay diet, and it lowered the risk of Alzheimer’s disease (AD) patients by 53% for those participants who adhered to the diet rigorously. 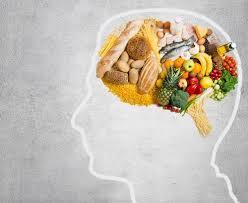 The MIND diet consists of 15 dietary components, including 10 “brain-healthy food groups” green leafy vegetables, other vegetables, nuts, berries, beans, whole grains, fish, poultry, olive oil and wine and five unhealthy groups that comprise red meats, butter and stick margarine, cheese, pastries and sweets, and fried or fast food. The diet consists of at least three servings of whole grains, a salad and one other vegetable every day and snacks of nuts, has beans every other day or so, eats poultry and berries at least twice a week and fish at least once a week. It is advocated that designated healthy food is limited especially butter, cheese, fried fat or fast food. The MIND diet is a hybrid of the Mediterranean and DASH (Dietary Approaches to Stop Hypertension) diets, both of which have been found to reduce the risk of cardiovascular conditions, like hypertension, heart attack and stroke. Some researchers have found that the two older diets provide protection against dementia as well. Berries are the only fruit specifically to make the MIND diet. “Blueberries are one of the more potent foods in terms of protecting the brain,” Morris said, and strawberries have also performed well in past studies of the effect of food on cognitive function. Researchers compared the MIND diet to two other diets. Research participants who adhered to the DASH and Mediterranean diets also had reductions in AD with 39 percent adhering to the DASH diet and 54 percent with the Mediterranean diet. The study also determined that the longer the person eats the MIND diet, the less risk they have of developing Alzheimer’s disease. 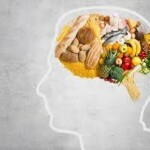 MIND diet associated with reduced incidence of Alzheimer’s disease, Martha Clare Morris, et al., Alzheimer’s & Dementia: The Journal of the Alzheimer’s Association, doi: http://dx.doi.org/10.1016/j.jalz.2014.11.009, published online 11 February 2015, abstract. ← Long term breastfeeding associated with increased intelligence and success as an adult.